The Community Repair Project is a collaboration between California College of the Arts (CCA) students in Design 3, Sustainability studio and various local communities in the Bay area. Students had to connect with a person or group they didn’t know, engage in a repair project and give something back in return. The project aims to mobilize designers towards the development of social skills that extend beyond the normal scope of commoditized fashion, to reveal and enable local craft skills, and to activate sites of knowledge that are overlooked by the current fashion system. 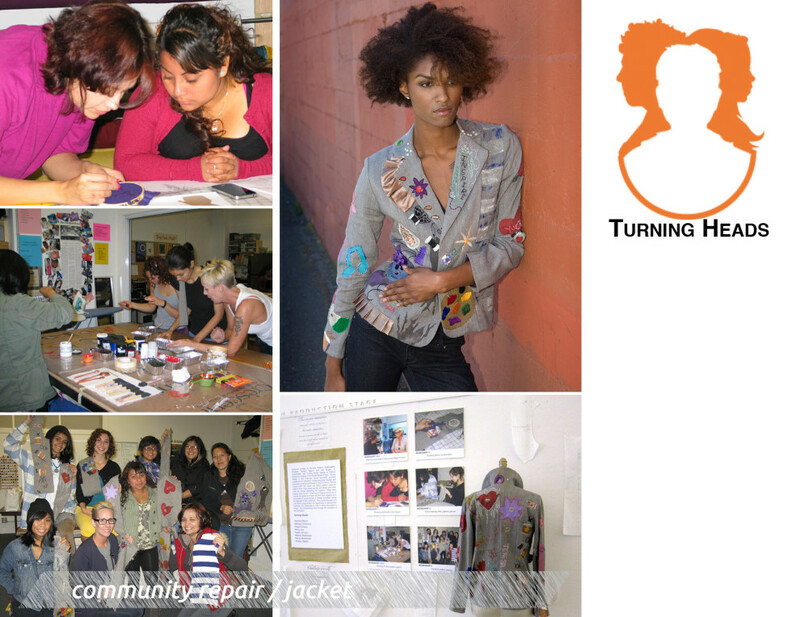 Our team of two students, in collaboration with Turning Heads Sewing & Fashion Design, created a Community Repair Project. 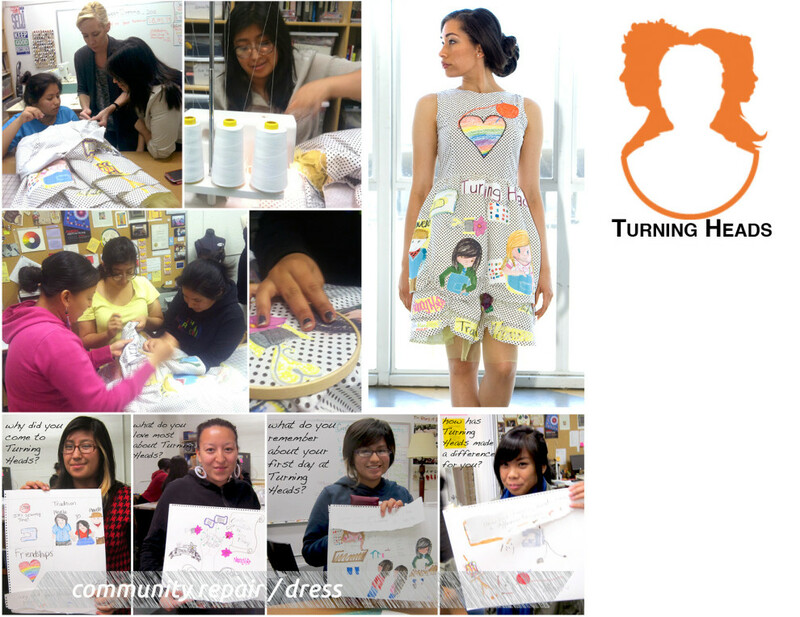 Turning Heads, a San Francisco based non-profit, provides vocational arts education, entrepreneurship training, and develops young women leaders in underserved San Francisco communities. Our goal was to create unique garments that depict their love for sewing and involvement at Turning Heads. A jacket was created, pattern piece by pattern piece. Each young woman designed and handcrafted two pieces answering the question: “What does sewing mean to me?” The second garment, a dress with original textile design depicts their memorable experiences at Turning Heads. Sharing these stories and the process of working together on a collection further binds them together as a community. The overarching goal was to give these young women the opportunity to develop skills in fashion and textiles, express their creativity, and expose them to higher-education art pedagogy. This resulted in a exhibition at the CCA Nave, attended by friends, family and industry professionals, thus empowering them through the opportunity to display their work. *A “Repair” exhibition was the upshot for these young women at CCA’s Nave Alcove Gallery Space. 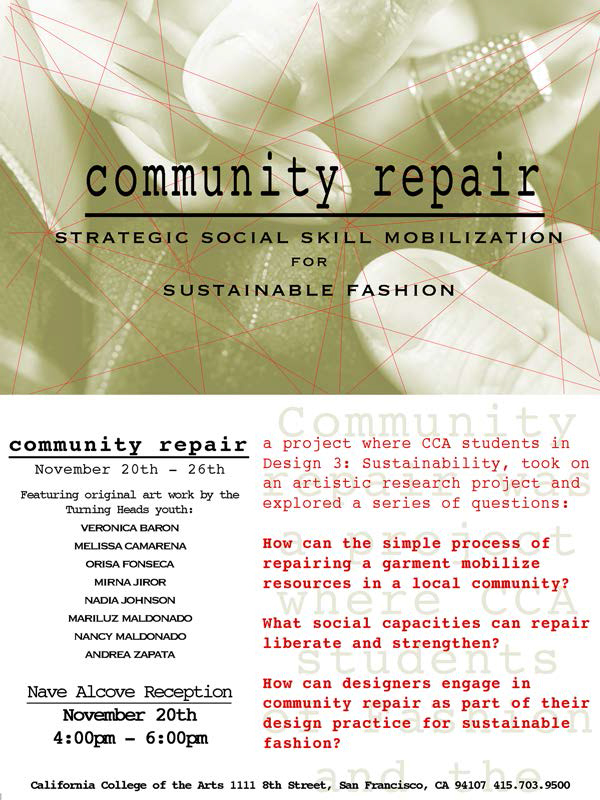 *Participated in Local Wisdom, a grant research project about fashion & sustainability led by Kate Fletcher. 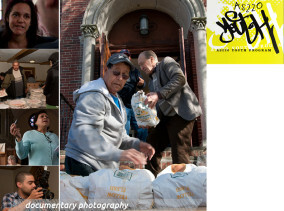 *Young women received collateral and images of work for their portfolios. 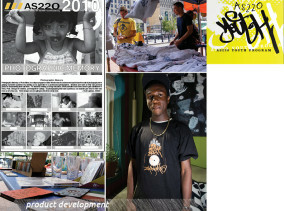 *Currently, continue to lead workshops at Turning Heads in textiles, fashion, and art. *Led to ongoing consultation in business development with Turning Heads. © 2019 Sandra Negron - All Rights Reserved.